What ASTM A234 WP22 Pipe Fittings? Is this your question? If yes, then this article is best for you as it entails you about this grade of pipe fittings and its specification and standards. These pipe fittings are known best due to their high strength, weldability, durability and corrosive nature. These fittings are available in different sizes, shapes, and requirement of customers. ASTM A234 WP22 is a grade and standard to which these fittings are manufactured. The stainless steel used for manufacturing these products is well-tested and inspected before they are used in the manufacturing process. There are different types of fittings available such as seamless, fabricated and welded. ASTM A234 WP22 standard covers wrought alloy and carbon steel fittings of welded and seamless construction. The steel covers various standards such as ASME B16.9, B16.11 and MSS-SP-83, 95, and 79. These pipe fittings are used for various purposes such as pressure piping, vessel fabrication services at elevated and moderate temperature. These ASTM A234 WP22 Pipe Fittings are manufactured by killed steel, bars, plates and welded tubular products with some amount of filler metal added to it. Shaping and forging operation are performed by pressing, hammering, upsetting, bending, fusion welding, extruding and machining. After forming the fitting at an elevated temperature, these fittings are cooled at the temperature which is below critical range and is suitable and does not get injuries. The heat treatment is performed according to the A960 and A960M standards. They are certified and tested by inspection agencies and packed as per international standards. 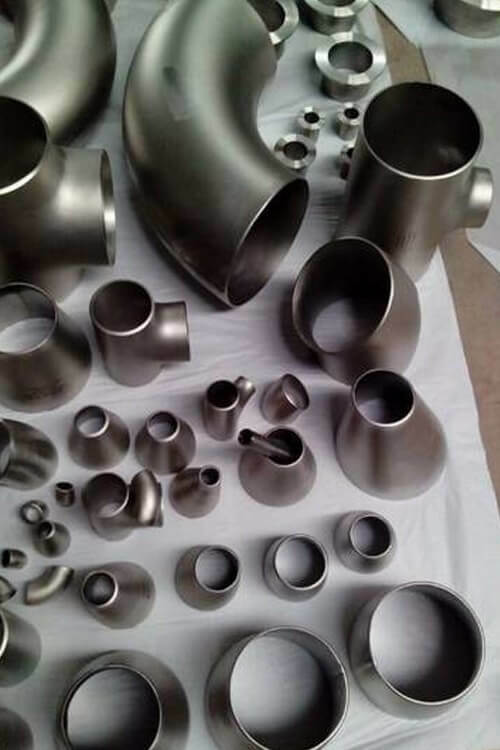 Standard Size ASTM A234 WP22 Fittings Supplier, ASTM A234 WP22 Buttweld Alloy Steel Cross Fitting, AS ASTM A234 WP22 Equal Tee, ASTM A234 WP22 Alloy Steel Eccentric Reducer Exporter, Alloy Steel ASME SA234 WP22 90° Short Radius Elbow, Chrome Moly Alloy Steel ASME B16.28 ASTM A234 Gr WP22 Stub Ends, ASME SA234 WP22 Pipe End Cap Manufactures in Mumbai India, ASTM A234 Grade WP22 180 Deg Long Radius Elbow, ASTM A234 WP22 45° Elbow, ANSI B16.9 Chrome Moly ASTM A234 WP22 Concentric Reducer, ASTM A234 WP22 Alloy Steel Reducing Tee. Size 1/2" NB to 24″NB in.